Waste residues from households and retail, service or elsewhere, that are similar in content and characteristics and which are not suitable for reuse or recyclable in any other form. They are relatively harmless for environment (e.g unusable footwear, textile, pottery, diapers, mirrors and light bulbs), however the quantity in the nature is deeply concerning. Presorted municipal waste has to be placed in a respective waste container. In the sorting station can be handed over upto 200 kg of municipal waste per person. Larger quantities of municipal waste must be delivered to Põlendmaa landfill in Paikuse county. * Price in Põlendmaa landfill. Hazardous waste: toxic or environmentally dangerous substances and materials, which cause or may cause instant or gradual harm to humans as to environment. Hazardous waste is for instance expired medication, batteries, paints, chemicals, oil filters, luminescence lights, mercury thermometers and asbestos. Hazardous wastes need to be collected separately and prevented mixing with other wastes. Characterizing adjectives for this type of waste are flammable, explosive, irritating, toxic. Legal entities price list for hazardous wastes. Asbestos residues can be handed over for a fee only in Paikre landfill (Põlendmaa, Paikuse county). Product of concern – residues of products, which cause or may cause health or environmental hazards or excessive pollution of the environment. Products of concern are batteries, motor vehicles and their parts, electric and electronic devices and their parts, tires and agricultural plastic. Large scale wastes are old (office) furniture, for instance cupboard, table, couch, chair, carpet, mattress etc. Usable and items in good condition can be offered also to second-hand stores. 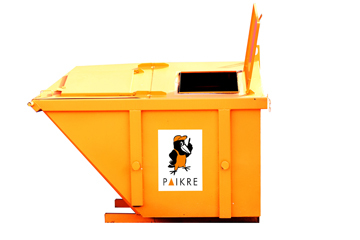 Large scale waste delivered to Paikre is sent to the landfill. 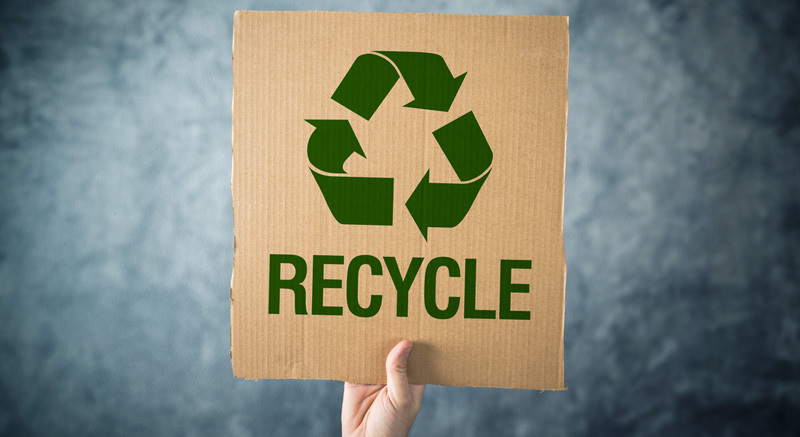 Paper and cardboard waste: paper and cardboard wastes used as packages or newspapers, journals, catalogues, books, notebooks, drawing papers, boxes, envelopes, cardboard egg boxes. Clean and dry paper waste has to be delivered to the nearest paper and cardboard container. Price: clean and dry paper and cardboard waste is FREE OF CHARGE. Minimum purchase quantity is 50kg. * Prices are valid in Põlendmaa landfill. Electronic waste – all kind of wastes consuming electricity, e.g washing machine, boiler, TV, iron, toaster, kettle, coffee machine, refrigerator, vacuum cleaner, computer, printer, shaver, microwave oven, electric stove etc. Unusable electronic devices can be delivered to Paikre sorting station or landfill FOR FREE. Product made of what ever material, which is used for storing, protecting, handling, delivering and presenting of raw material and merchandise during the whole cycle from the producer to the consumer. 2) Other packaging wastes: glass jars, glass bottles, boxes, juice and milk packs, tin cans etc. Clean, dry and empty packages must be delivered to the nearest package container. * Prices in Põlendmaa landfill. All wastes that are capable of undergoing anaerobic or aerobic decomposition. Such as food waste, leaves, branches, lawn, impregnated and uncolored wood, sawdust and bark. * Price is valid in Põlendmaa landfill. Different wastes demand containers with different parameters. Select from 0,14 m3 to 24 m3 sized containers. When ordering one, please follow the intended purpose and weight limit of the container. We buy one-type and reusable waste material. For an offer please contact info@paikre.ee or call 44 55 760. Paikre offers a weighing service of cargo and vehicles. 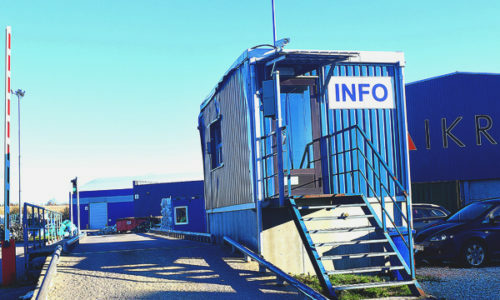 Service is available in the sorting station as in Põlendmaa landfill. The weighing machines are verified and enable weighing up to 18 meter long vehicle. A weighing proof is issued in return. Accuracy of the scale is 20 kg. Additional information on 44 55 750.